Aunt B will be visiting with her two boys for Easter. I have my parents in town too. That means I need to prepare food for a group, which is actually something I like to do. I am not sure why cooking for a large group is so much more appealing to me than the daily cooking for my own small(er) family, but it is (see previous post). 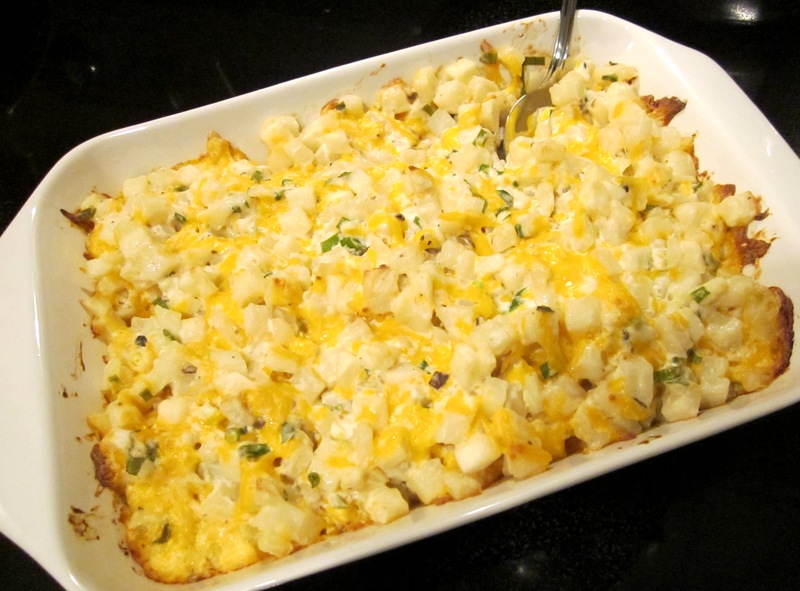 One idea I have for Easter brunch is Hash Brown Casserole. It is easy to assemble ahead, and it includes melted cheese, which automatically gives the recipe bonus points. 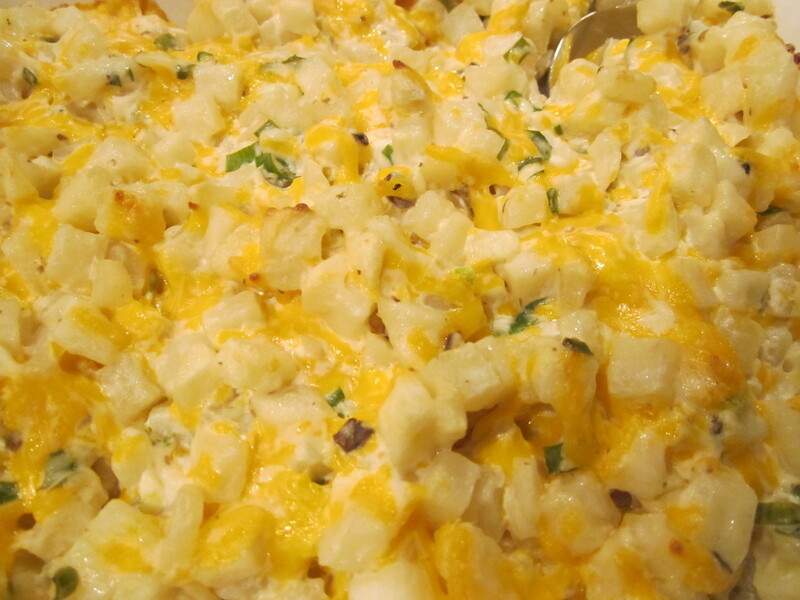 There are many variations of this casserole available, but I am sharing the recipe I use. 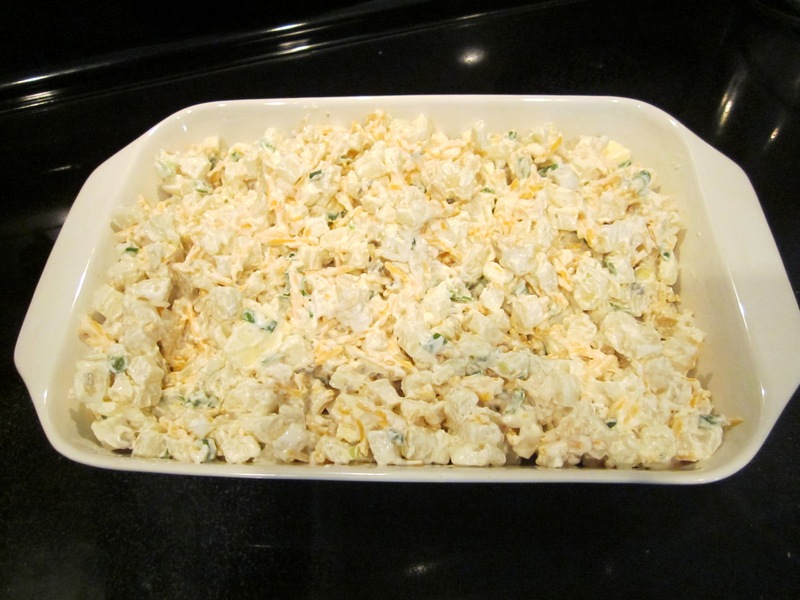 I like to serve this casserole with ham or scrambled eggs. I also think it works well with steak or hamburgers later in the day. 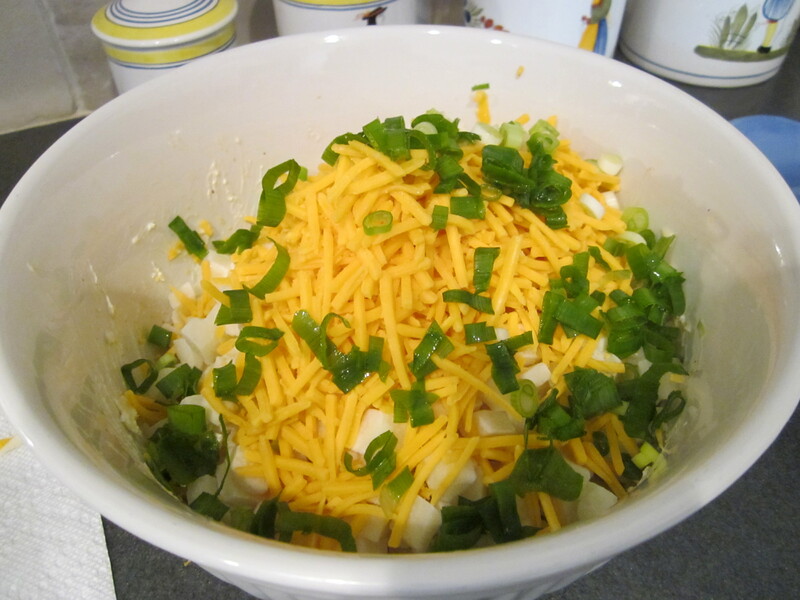 Put all of the ingredients in a large mixing bowl. Stir until combined. 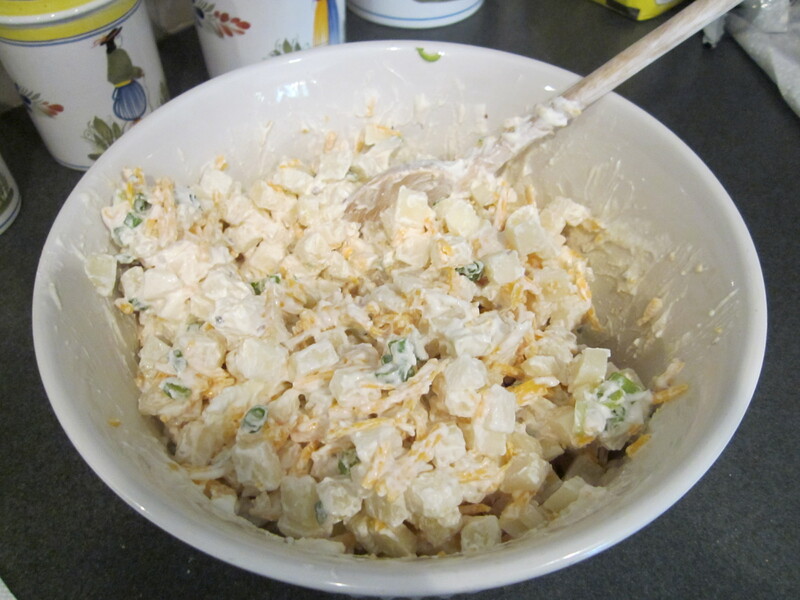 Spread in a 9×11 casserole dish. Sprinkle extra shredded cheddar cheese on top. Cover in foil and bake for ~35 minutes. Remove foil and bake an additional 5 minutes or so until the top is slightly golden and edges are bubbly.